Back in January I introduced you to Photographing FOOD ebook by Taylor Mathis, a downloadable Ezine dedicated to helping you improve your food photography. It was the first in a series of issues dedicated to providing you the know-how to create beautiful food photography. 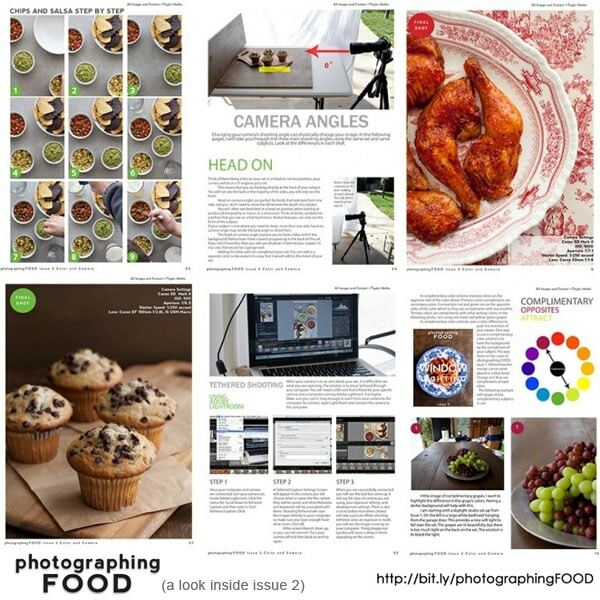 Each issue will cover one topic and how that relates to food photography! Learn how color theory can be used to bring harmony to your images! In the second half of the issue, you will see that it isn’t the camera that makes the image it’s the photographer! 4 cameras and one subject, what kind of camera is best? How to use Aperture as a creative tool in your food photography! This issue is all about color theory and camera controls! Taylor explains how to choose what colors to use in your images. Can’t decide what background will be best? You will love this guide to color theory. I can’t wait to apply this to my own photos! Sometimes I really struggle with color, I don’t know why I never thought to look at a color wheel! In the camera section, Taylor explains all about aperture, camera angles, and the secrets to using a tripod arm and shooting tethered through your computer. He also walks you through a challenge using the same subject with 4 different types of cameras; the disposable camera, the point and shoot camera, the camera phone and the DSLR camera. 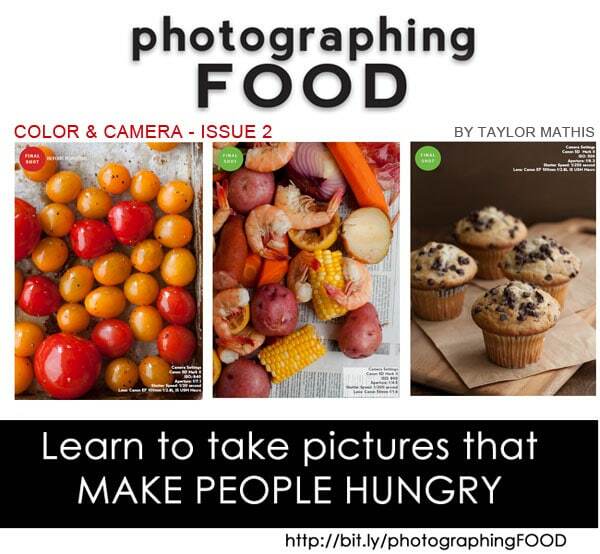 I said this about the first issue of Photographing FOOD and I’m going to say it again…….Taylor takes all the information you need to learn how to take pictures that make people hungry, and he breaks it down into bite sized portions (issues) so it’s not overwhelming. By focusing on only a few aspects in each issue, you are not bewildered with too much information all at once. Start with issue one, Window Lighting. 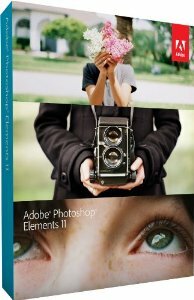 In this ebook, you will learn how to get the best photo you can with or without window lighting. You’ll get tutorials on how to set up your own diy studio with a $10 light source and even tips on what angle is best for the situation. This issue is filled with step by step and behind the scene shots showing you exactly how he arrived at each final shot. Then when you have mastered lighting, move on to issue 2, Color & Camera. 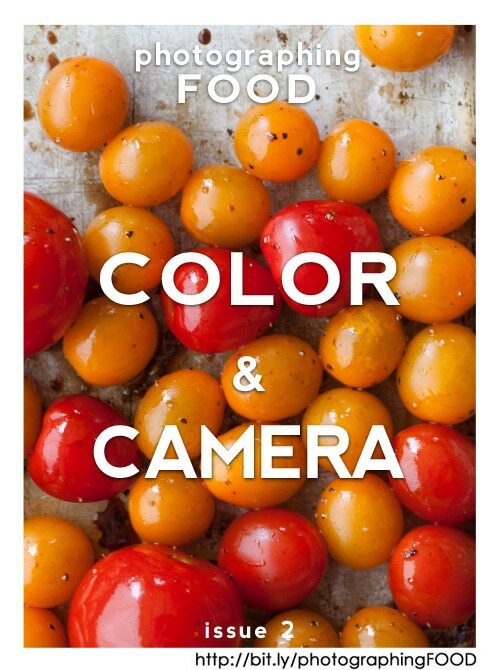 Each Photographing FOOD ebook is only $5 and formatted to read beautifully on your computer, ipad or iphone. 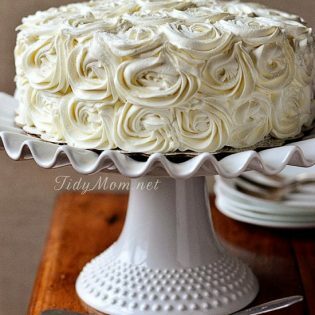 It’s a small price to pay if you’re looking to improve your photos, especially food photos! I cannot wait for the next issue to come out. Missed my post about Issue 1? Check it out here! I would love to hear if you downloaded the first issue of photographing FOOD, and what you thought! Disclosure: Posts includes affiliate links. Hi, this is my first link party, happy to join! OMG what a wonderful and beautiful site you have. I like it so much. Thank you for sharing all of your knowledges! I must get this one too. I am now learning about camera angles and I really need some help. I love the issue 1 and the price is awesome. Thanks! 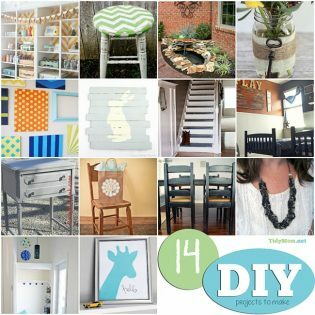 Pingback: 12 Great Ideas for Family Day….